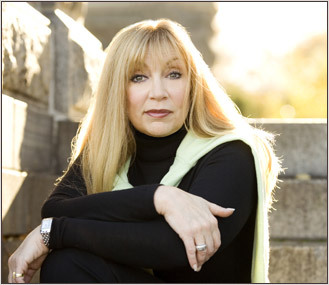 M.J. Rose is the international bestselling author of 10 novels; Lip Service, In Fidelity, Flesh Tones, Sheet Music, Lying in Bed, The Halo Effect, The Delilah Complex, The Venus Fix and The Reincarnationist. She is also the co-author with Angela Adair Hoy of How to Publish and Promote Online, and with Doug Clegg of Buzz Your Book. Her latest novel, The Memorist, will be released in late October 2008. Rose has been profiled in Time magazine, Forbes, The New York Times, Business 2.0, Working Woman, Newsweek and New York Magazine. She has appeared on The Today Show, Fox News, The Jim Lehrer NewsHour, and features on her have appeared in dozens of magazines and newspapers in the U.S. and abroad, including USAToday, Stern, L’Official, Poets and Writers and Publishers Weekly. Rose graduated from Syracuse University and spent the ’80s in advertising. She was the Creative Director of Rosenfeld Sirowitz and Lawson and she has a commercial in the Museum of Modern Art in NYC. She lives in Connecticut with Doug Scofield, a composer, and their very spoiled dog, Winka. As a child, Meer Logan was haunted by memories of another time and place always accompanied by the faint strains of elusive music. Now the dreads are back. The past has reached out again in the form of a strange letter that sets her on a search to unlock the mystery of who she once was. The Memorist is a literary page turner that races across the Austrian countryside and takes you to a Viennesse tear-gas filled auction house, dusty museums, hidden passages deep within the walls of the secret Memorist Society. 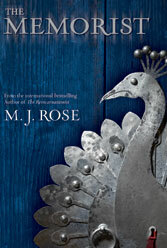 It’s a journey through the centuries as Meer unravels the mystery behind her own past lives. Tuesday, November 4th: Bloody Hell! I’ve been waiting for the release of this book! My book club was lucky enough to have an author chat with Ms. Rose about THE REINCARNATIONIST; and she gave us lots of hints about her new book! I read “The Reincarnationist” a few months ago and loved it! I’m looking forward to reading this book! This book is on my wish list. She’s visiting my blog today, November 20.